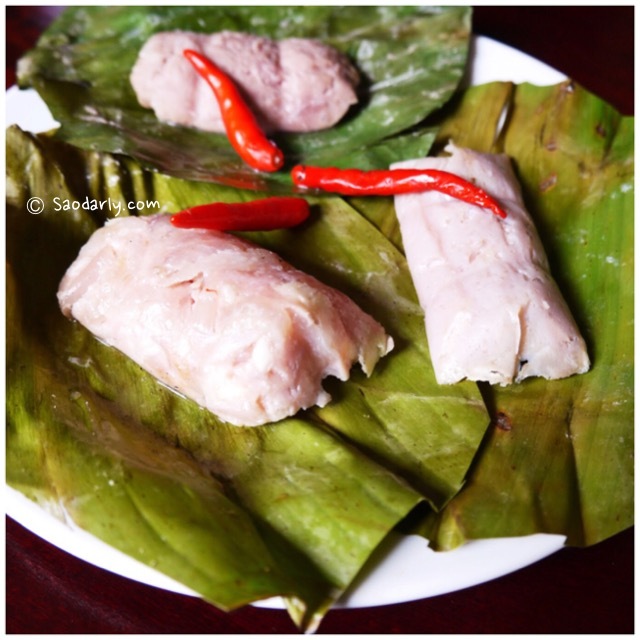 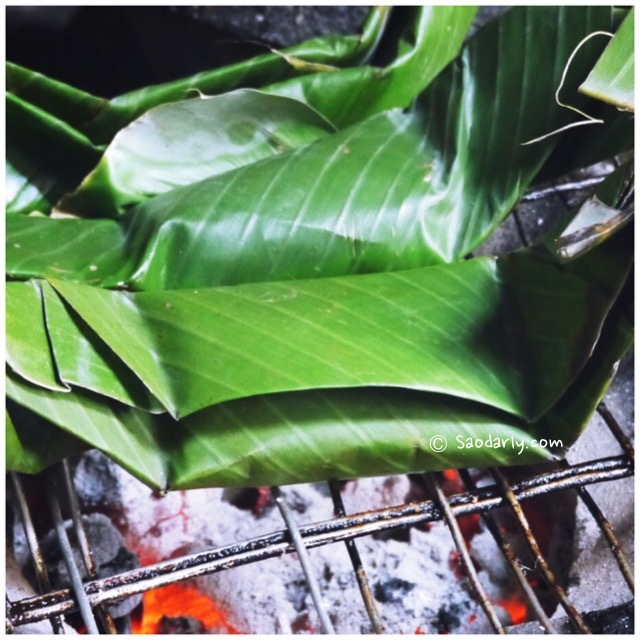 Grilling Soured Pork wrapped in banana leaf (Ping Som Moo; ປິ້ງສົ້ມໝູ) or breakfast in Vientiane, Laos. 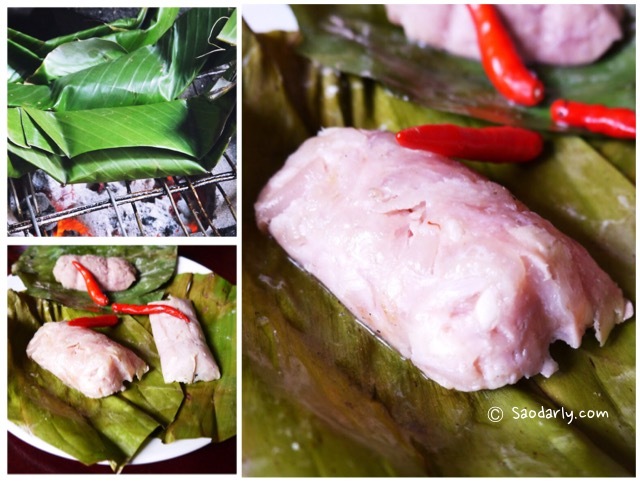 We bought the Soured Pork from the Organic Farmers Market at That Luang esplanade in Vientiane, Laos. 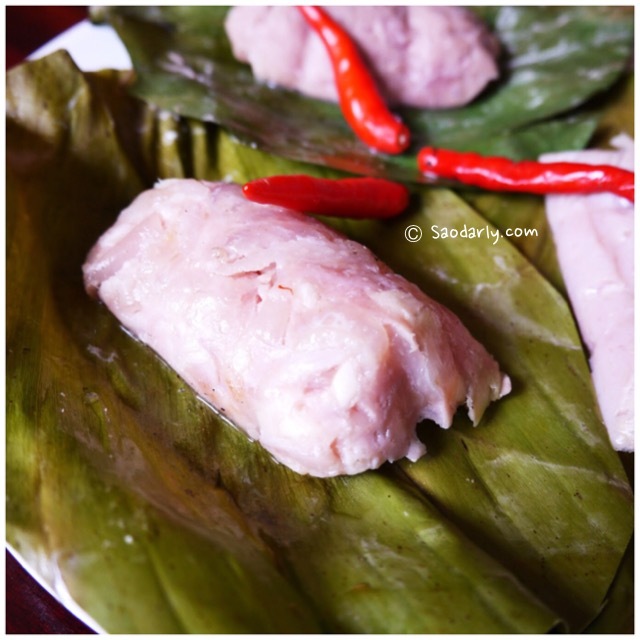 It was a simple but nice breakfast with freshly steamed sticky rice to please everyone in the household.